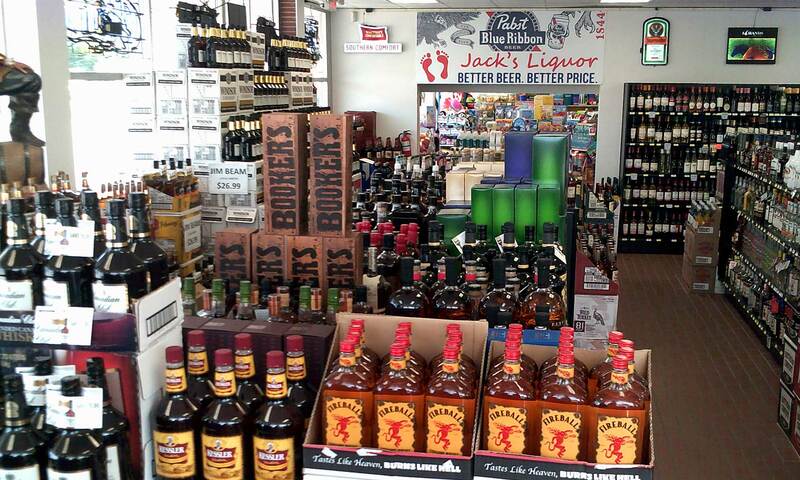 Liquor, Beer, Wine | Fremont, NE | Jack's Liquor – Jacks Liquor in Fremont, NE, offers deeply discounted beer, wine and liquor for any occasion. Jacks Liquor in Fremont, NE, offers deeply discounted beer, wine and liquor for any occasion. Come see us today for quality domestic and imported beers and our large selection of wine and liquors. We offer superior service and can help you find exactly what you want – from selecting the right wine for your formal dinner to choosing the best drink for your special event. We have everything you need in one place! Whether you’re looking for basic or craft beer, high-end liquor, fine wine, or exotic alcohol, you’ll find what you need at Jack’s Liquor. Jack’s Liquor offers thousands of great wine, beer and spirits all in stock. We also boast the coldest beer around! Our walk-in beer cave is the largest in town. Bourbons and whiskeys are full-flavored drinks that contrast heavily with other forms of distilled spirits. Good whiskey is not just a drink, but an experience that invites the individual to first indulge in its aroma … and then enjoy its diverse flavors. Our allocated items and barrel picks are for choice customers only. Membership to Jack’s Liquor Barrel Club is exclusive. Contact us today to learn more. Located in Bell Center at the corner of 16th and Bell Streets, Jack’s Liquor opened in May of 2014. The store boasts discount pricing, superior selection, specialized gift ordering and an expert staff to assist with product selection. The centerpiece of the store, a walk-in beer cave, is the largest in town. The store provides a wide variety of beverages, including high-end products not found elsewhere in the Fremont area.